Route converted to RT operation. Roofbox RT1904 is just about to enter Woolwich New Road from Plumstead Road/ Beresford Square. Tthe Arsenal wall behind. 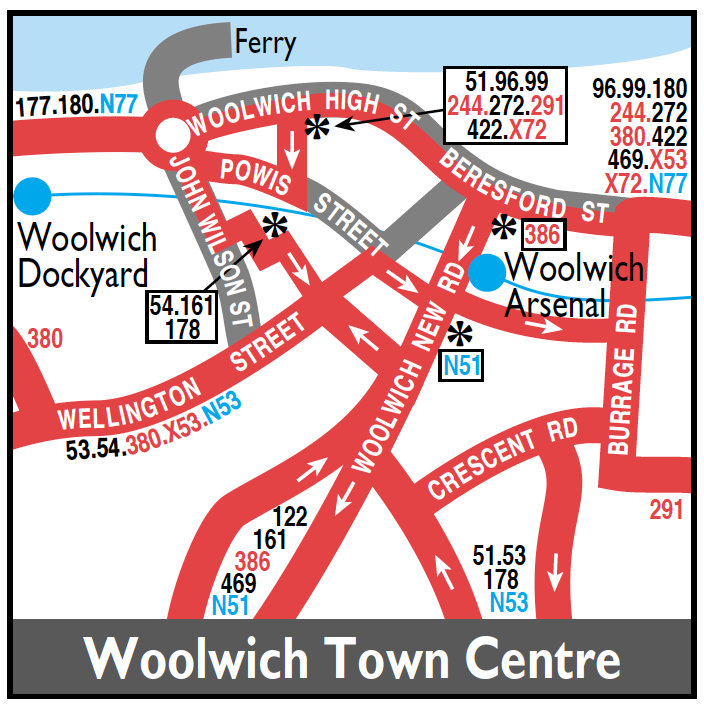 Routemasters introduced - albeit Sunday only from AW. RM180 seen at the Erith terminus of 'Prince of Wales.' The road is Avenue Road. All is now demolished, the road widened and now called James Watt Way. The pub gone replaced by a fast food place. Converted to single deck (standee) one person operated operation. Plumstead (AM) closes - allocation moved to PD. Withdrawn between Erith and Slade Green - withdrawn section replaced by revised 122A. Operated by Bexleybus and transferred to BX. 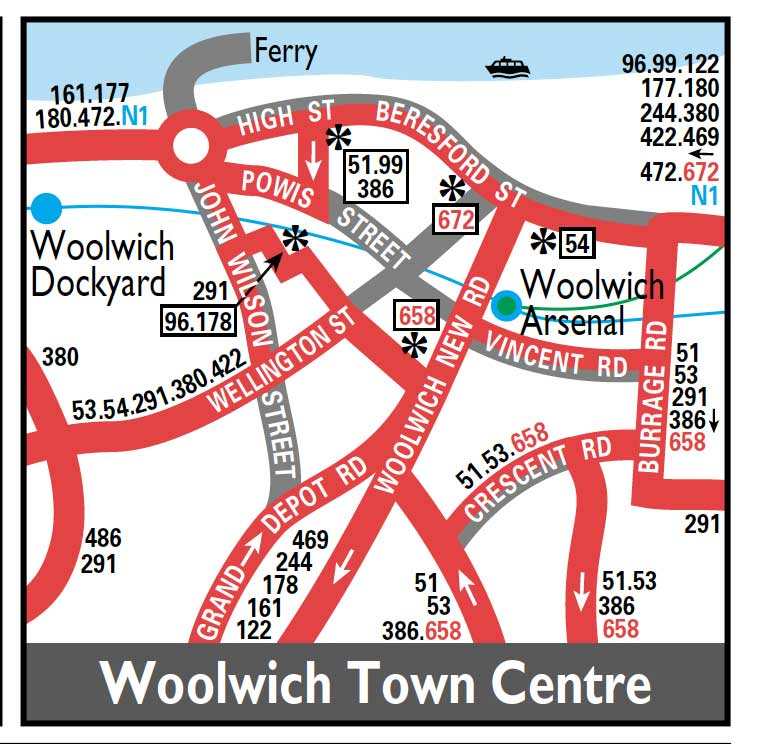 Sunday Route converted to midi bus operation. Converted to double deck operation - new contract commenced. 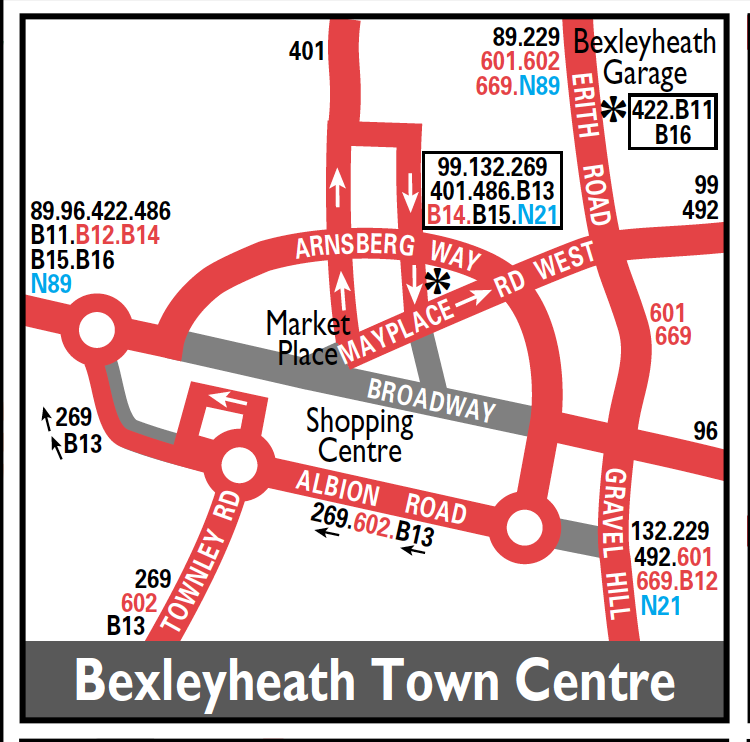 Extended from Erith to Bexleyheath via withdrawn section of Route 469 and contract extended for two years. Changeover point at Bostall Hill ?